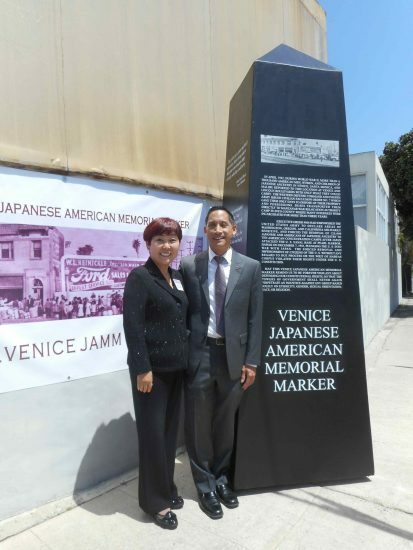 Esther Chaing of Hama Sushi and Len Nguyen, senior deputy to City Councilmember Mike Bonin, with a full-size model of the VJAMM obelisk. The fifth annual Venice Japanese American Memorial Marker fundraiser at Hama Sushi restaurant was held on April 27. This year, Esther Chaing of Hama Sushi donated $3,619.60, which represents 100 percent of the profits from 269 bentos (45 of which were ordered by Helen and Warren Miyashiro) and 10 percent of dinner sales. Her total donation to VJAMM is $14,536.43. In 2010, she gave VJAMM $200 — its very first donation. In 2011, Suzanne Thompson, a member of the VJAMM Committee and the Venice Arts Council, initiated the discussion about having a VJAMM fundraiser at Hama Sushi, and the event has been held every April since 2012, during the week before the Manzanar Pilgrimage, which is always the final Saturday in April. • Brian Maeda, filmmaker and VJAMM Committee member (www.wesaidnono.com). 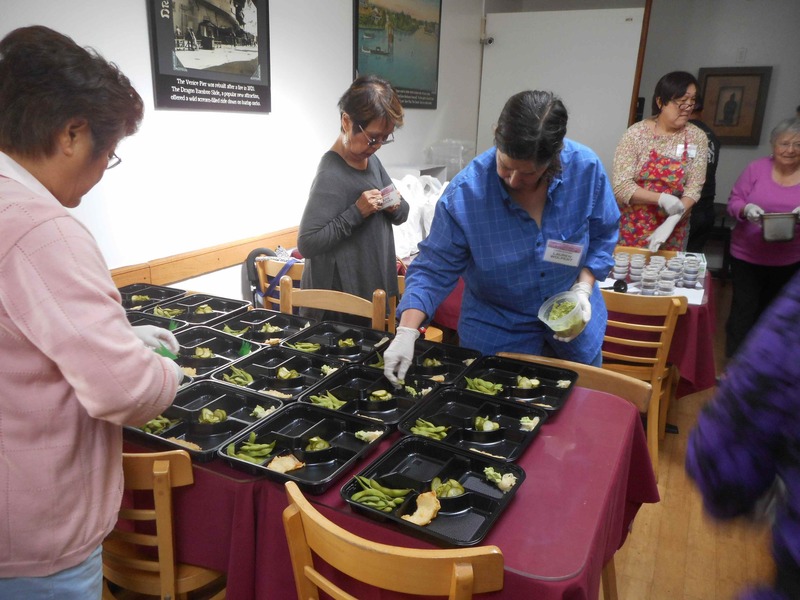 Members of Venice Honganji Buddhist Temple’s Buddhist Women’s Association prepare bentos at Hama Sushi. 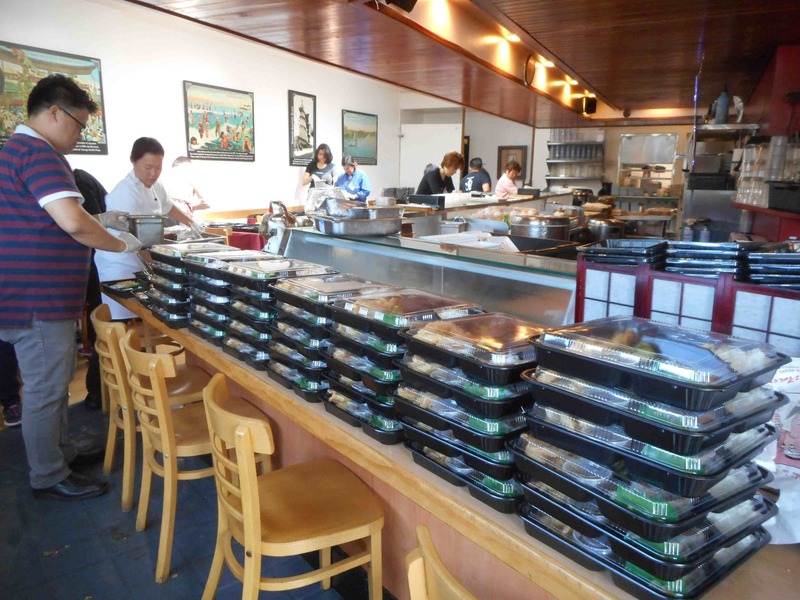 In addition to Chaing, the VJAMM Committee would like to acknowledge with deep appreciation Hama Sushi’s Tony Kim, Naoko Matsumura, Masayo Onuki, and Miguel Esquivel. 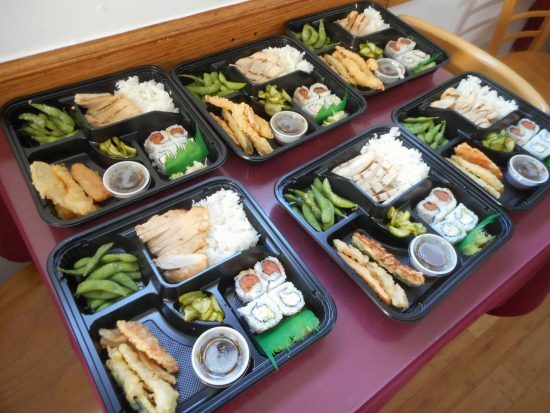 Pastor Keesong Lee of L.A. Nam Seoul Grace Church assists chef Masayo Onuki with the bentos. Los Angeles County Supervisor Sheila Kuehl pledged $500 towards the VJAMM thanks to a request by Thompson. Volunteers: Joyce Enomoto, June Fujioka, Shinobu Koda, Aya Masada, Judy Nawa, Cyndy Uehara, Lauren Wolpert, June Tomita, Zed Aquarian, and Eugene, Edd and Pauline Hayashibara. 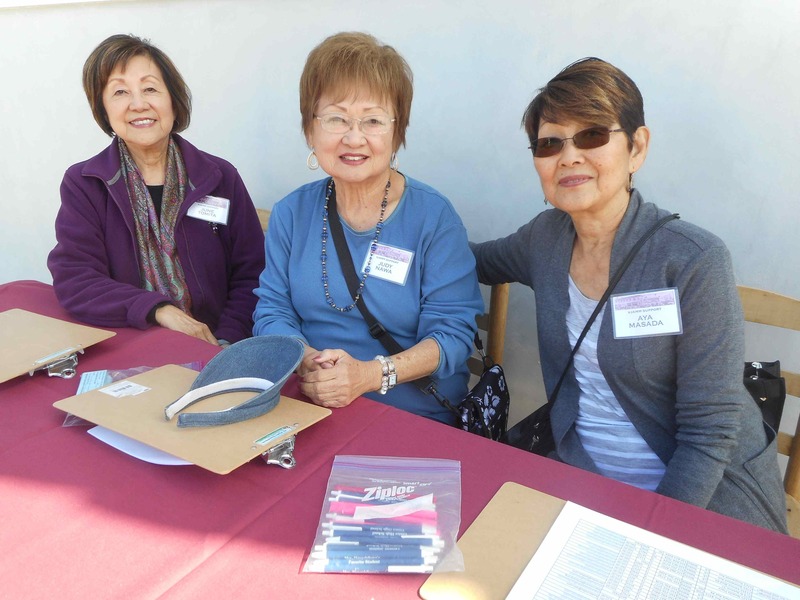 Volunteers June Tomita, Judy Nawa and Aya Masada. 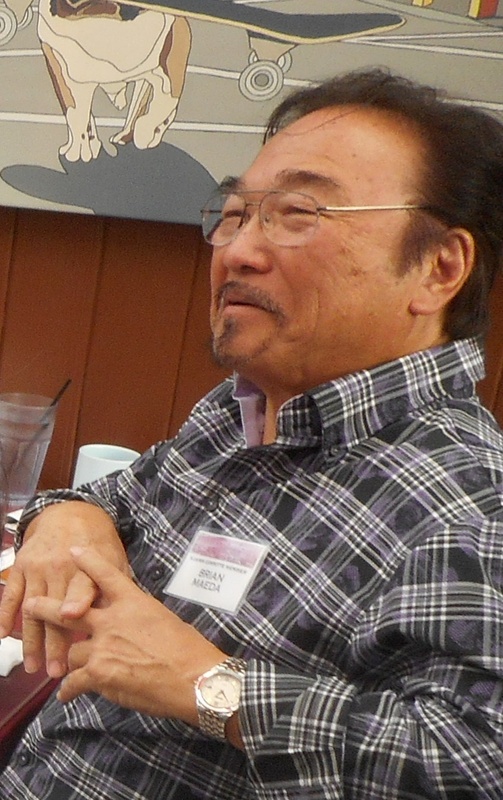 Also serving on the VJAMM Committee are Kay Brown, Mae Kakehashi, Arnold Maeda, Alice Stek, and Yosh Tomita. 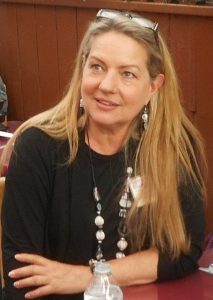 For more information, go to www.venicejamm.org or visit VJAMM on Facebook. The bentos included sushi, chicken, tempura, and edamame.